California has a reputation for being a very protective state when it comes to employee rights and offers many different leave laws for this purpose: some well-known, and others not so much. Everyone has heard of the FMLA, and most people have heard of the CFRA, but if you have never heard of the PDL, the NPLA, or Kin Care, you’re not alone. This article discusses and compares these various leave laws. The California counterpart is the California Family Rights Act (“CFRA”), which provides for the same amount of leave for an employee due to his or her serious medical condition. California provides special and more-inclusive protections for workers disabled by pregnancy and/or childbirth. While these disabilities are excluded from the CFRA and are included in the FMLA, California’s Pregnancy Disability Leave laws (“PDL”) cover far more employees than does the FMLA. The newest addition to California’s protective leave laws is the New Parent Leave Act (“NPLA”), which became effective January 1, 2018. The FMLA, CFRA, PDL and NPLA are not the exclusive provisions pursuant to which leave may be sought, and with respect to the California statutes, each expressly confirms that its protections are in addition to and not in lieu of other protections available under the law, including pursuant to the FEHA. A failure to provide a reasonable leave of absence as an accommodation under the FEHA gives rise to a claim for the failure to accommodate and/or failure to engage in the interactive process, which provide for the same remedies as other FEHA violations, including past and future lost wages, general damages, punitive damages, and injunctive relief, plus statutory attorney’s fees and expert costs. Kin care, Labor Code section 233: If an employer provides sick leave to an employee (which is now mandatory), the employee must be permitted to use the sick leave to care for a sick family member. 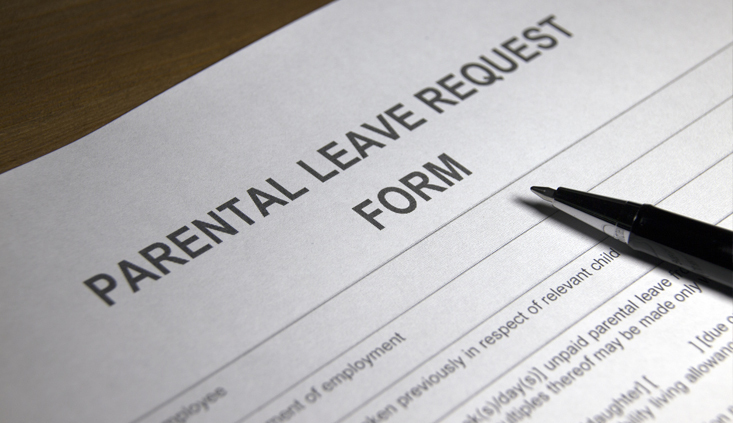 This law prevents retaliation for taking or attempting to take leave under this provision. An aggrieved employee is entitled to reinstatement and actual damages or one day’s pay, whichever is greater, and to appropriate equitable relief, which remedies are cumulative to any others that may apply. This law applies to all employers, regardless of size. Jury duty and subpoena, Labor Code section 230(a): This law prevents retaliation for taking or attempting to take time off for jury duty, or to testify as a witness pursuant to subpoena, so long as reasonable advance notice is given, if feasible to do so. An aggrieved employee is entitled to reinstatement and reimbursement for lost wages and work benefits caused by the acts of the employer, as well as appropriate equitable relief. This law applies to all employers, regardless of size. Crime victims, Labor Code section 230.2: This law requires employers to permit time off for domestic abuse or sexual assault victims to seek medical attention and counseling, and to participate in actions to increase safety from future violence or assault. This law prevents retaliation for taking or attempting to take leave under this provision. An aggrieved employee is entitled to reinstatement and reimbursement for lost wages and work benefits caused by the acts of the employer, as well as appropriate equitable relief. This law applies to all employers who employ at least 25 employees. School activities, Labor Code sections 230.7 and 230.8: These laws permit employees (parents, grandparents or guardians of children up to grade 12) up to 40 hours per year, no more than eight hours per month, to attend or participate in school activities, school emergencies, enrolling children in school, and attending schools for suspension and discipline meetings, if reasonable notice is provided. These laws prevent retaliation for taking or attempting to take leave under this provision. An aggrieved employee is entitled to reinstatement and reimbursement for lost wages and work benefits caused by the acts of the employer; and if the violation is willful, possibly a civil penalty in an amount equal to three times the amount of the employee’s lost wages and work benefits. This law applies to all employers who employ at least 25 employees. Voting, Elections Code section 1400: This law permits employees to take up to two hours at the beginning or end of the shift of paid time off to vote, if the voter does not have sufficient time outside of work to vote. This law applies to all employers, regardless of size. Literary education, Labor Code sections 1040-1044: These laws permit employees reasonable time off from work to enroll in literacy programs, which the employer must accommodate unless it creates an undue hardship. The employer must maintain the confidentiality of this leave and cannot terminate the employee if the employee is satisfactorily performing his or her work. This law applies to all employers who employ at least 25 employees. Alcohol/drug rehab, Labor Code sections 1025-1028: These laws permit employees reasonable time off from work to voluntarily enter an alcohol or drug rehabilitation program, provided it doesn’t impose an undue hardship for the employer. The employer must maintain the confidentiality of this leave. This law applies to all employers who employ at least 25 employees. These are not all the types of leave available but are the most common and/or applicable to average workers in California; there are additional or comparable Federal leave laws. Claims for violation of leave laws usually afford significant remedies, including punitive damages, as well as attorney’s fees, making them lucrative claims to pursue. Familiarity with the various leave laws permits the studied practitioner to not only successfully litigate these cases, but also to advise clients and employees of their rights to take leave when the employee may not be aware. 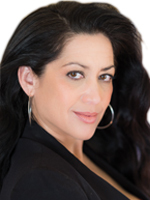 Christina M. Coleman recently launched her solo practice of the Law Offices of Christina M. Coleman, APC, and is the former supervising attorney of the civil litigation division at the Law Offices of Ramin R. Younessi, APLC. She has 20 years of experience representing consumers, businesses and employees in enforcement and protection of their rights She is a member of California Employment Lawyers Association, CAOC, and sits on the CAALA Board of Governors.